The section on the Leaps of Christ comes within the part known as Christ II, or sometimes Christ B, within the Exeter Book. The first book deals primarily with Advent, book two with the Ascension, and the third book with Doomsday or the Apocalypse. The first leap the poem describes was when Christ descended to the earth through the Virgin Mary. The second spring was when Jesus was born in the manager. The third jump was on the cross. Christ’s fourth leap was when he entered the tomb. His fifth jump was when he descended to hell before his resurrection. 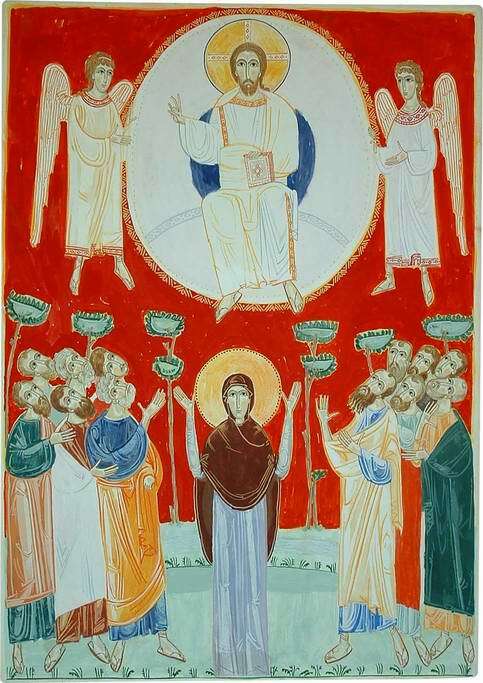 The sixth spring was when the Lord ascended into the heavens, celebrated with the joy and jubilation of the angels. the eternal joy of the blissful citizens. A fitting poem, and reference, for Christmas Day, the Second Leap. Copies of the original text can be found here at the Georgetown library, or at the Evellum site. There is a similar 13/14th centuary poem with ‘Leaps’ translated in Andrew Breeze’s work here. Back to the blog HERE.